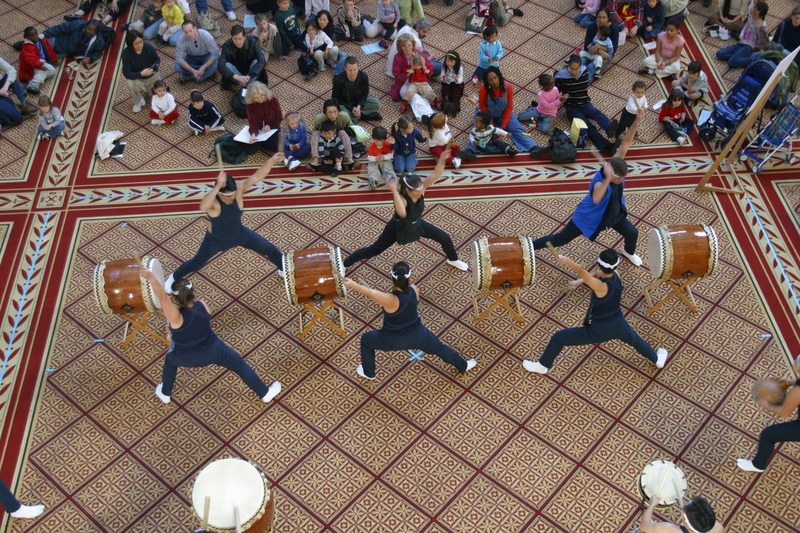 Nen Daiko's song Yamabiko means "echo." 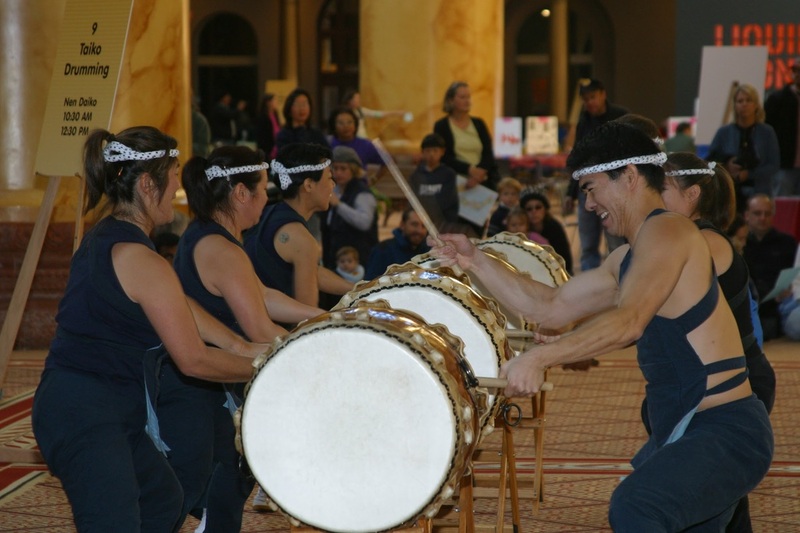 The piece is a call-and-response song between the odaiko (the largest drum) and the chus (the medium-sized drums). Another echo is seen and heard in how the chu players stand opposite each other, echoing each other's movements. 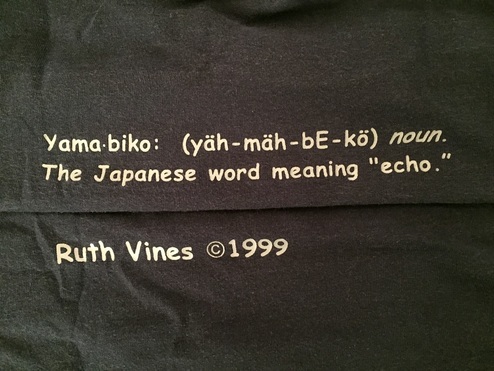 Yamabiko was written by Nen Daiko member Ruth Vines in 1999. "It's a happy piece," says Ruth. "It has a lot of movement and dancing. It has changed so much over the years. That's a big part of Buddhism - that change is constant." In its original form, the choreography for this lively piece was inspired by Hiroshi Tanaka's song Tatsumaki. In earlier iterations of the song, the drums were put on stands so they were horizontal and in a straight line. Over time, this piece has become one of Nen Daiko's signature pieces, and we have spent a lot of time refining each angle and movement. We have made changes big and small, from the physical set-up to the angle of our arms in each movement. 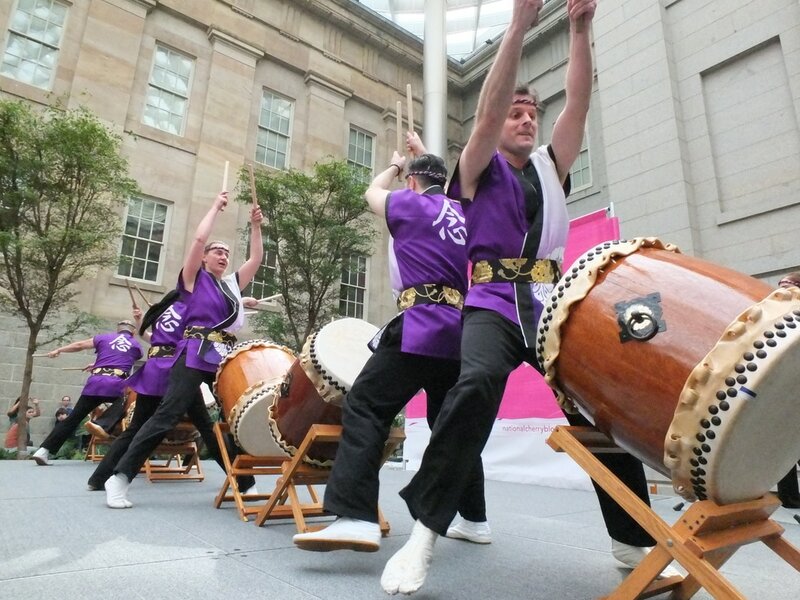 One of our more noticeable changes was when we changed the angle of the drums to sit on our naname or diagonal stands, and evolved the movements along with it. A running joke is that we made sure to change the piece ever so slightly when a particular member was not at practice! The beauty of the choreography and the movements was that they could be adapted to accommodate the number of players for different venues or performance needs. ​A recent iteration was the creation of the triangular set-up, which was notable for an inner circle rotating one way and an outer circle rotating in the opposite direction. For our 20th Anniversary Concert in 2014, we transitioned from the line to the triangle formation in the middle of the piece, which took a lot of practice to ensure a seamless set change. In addition to the drums, a featured instrument is a large shaker made from a gourd. The fun nickname of the person who plays the shaker is the "shaker fairy." 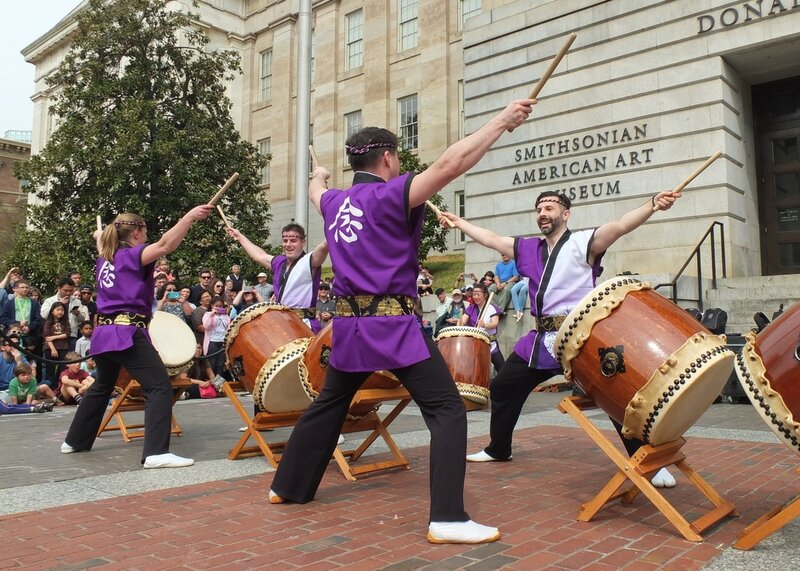 This describes the movement of the shaker musician as he or she dances over to the odaiko during the mid-song solo. The shaker role is one of the most strenuous of the piece since the person essentially is doing side-to-side lunges throughout the duration of the song. We spend a lot of time in practice on matching the angles of our arms and bachi. During one outing to the Baltimore Aquarium, we played around with the idea of buying a Maryland crab hat and making the person with "crabby" arms (e.g., bent, not straight) wear the hat for the duration of the practice. A phrase heard often during practice is "no crabby arms!" We make sure to place our heaviest drums on the outside edges of the chu line. This became our regular practice after one too many performances in which lighter drums inched farther and farther apart throughout the song, leaving us almost in splits by the end of the piece. This video shows a moment from the song Yamabiko. Come to an in-person performance to see the full song!